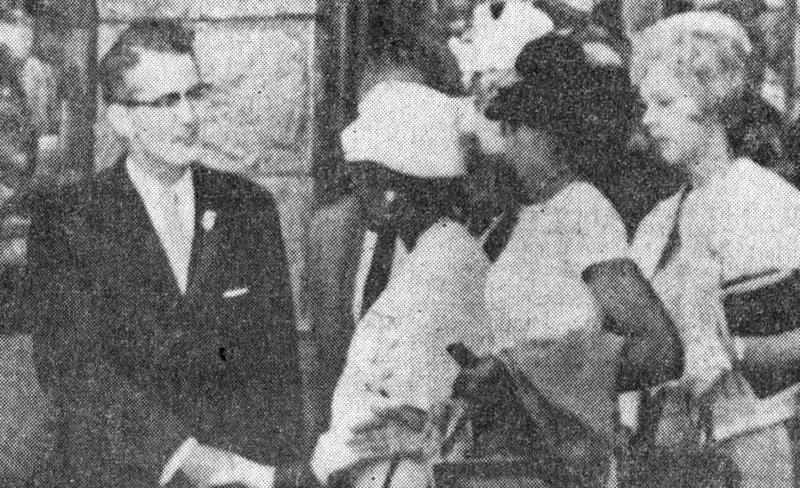 Earl Stallings, pastor of FBC Birmingham, welcomed black worshippers following a 1963 Easter service. BIRMINGHAM (BP, TAB) — An Alabama church whose pastor was criticized 52 years ago by Martin Luther King Jr. for contributing to the “silent — and often vocal — sanction” of racial segregation says today it has come to embrace the civil rights pioneer’s vision for Christian fellowship among people of all races. “Fifty years ago, our church and its relationship with Dr. King reflected the divisiveness of a difficult time in American history,” said Jim Cooley, pastor of First Baptist Church, Birmingham. “Today our church reflects the inclusiveness of churches who recognize that everyone is a person Christ died for and everyone has a place within God’s house.” The church now has white, black, Hispanic and South Asian members and reaches out to other ethnicities in the surrounding area. This entry was posted in Home and tagged Alabama, Birmingham, Earl Stallings, First Baptist Church, Jim Cooley, Martin Luther King Jr., segregation. Bookmark the permalink.